Hiring managers are more often opting to start the interview process over the phone in interest of saving time and resources. Some even choose to hire a candidate based solely on a phone screen. 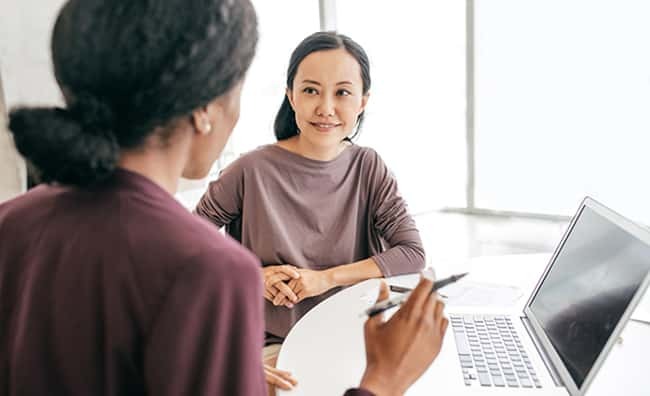 Although efficient, these interviews can sometimes put a candidate at a disadvantage because they don’t have the opportunity to impress the hiring manager with a face-to-face interaction. 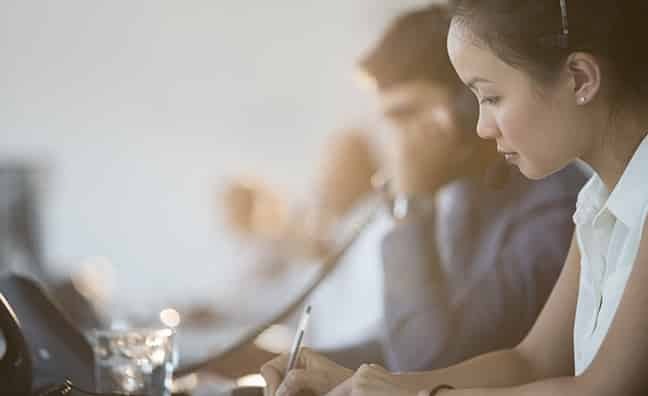 Gregg Gavioli, Managing Director of the Accounting & Finance division of Solomon Page, offers the following tips on how to improve your phone interviewing skills and increase the probability of being called back for an in-person follow up. Research the company: Be sure to learn everything you can about the organization and be prepared to talk about it. Research the person you are speaking with: Always look up the person you are scheduled to speak with on LinkedIn, Google, and the company website, if applicable. Look for common interests that may be useful to bring up if the timing is appropriate. Find a quiet place: Make sure you are in a quiet place where you will not be disturbed for the duration of the interview. If you cannot do the phone screen at your home, check with your local library to reserve a private room. Confirm logistics of the call: Make sure you know the exact time of the call and who is calling who. 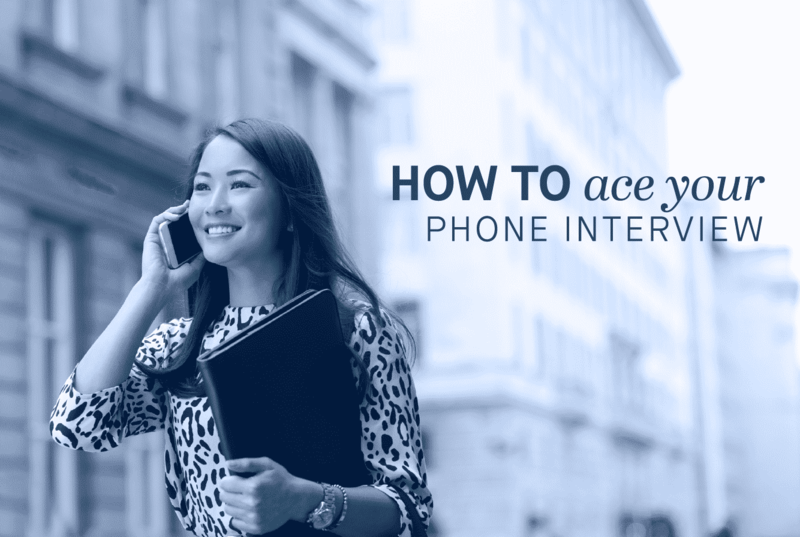 If you plan to take the call from your cell phone, make sure you are in a place with good reception that won’t cut out during the interview. Test the location for the quality of the reception prior to the interview. Reference your résumé: Be sure to have a copy of your résumé printed out or on screen in front of you to reference during your conversation. Take notes: Keep a paper and pen nearby and jot down notes when the hiring manager is talking—refer back to them when it is your turn to ask questions. Stand up: It is easier to project with our voices when we are standing. Standing will help you sound more engaged and articulate. Smile: Your voice will sound more enthusiastic if you simply smile while you’re talking. Wake yourself up: This is most relevant in early morning interviews, especially if you are not a morning person. Make sure to give yourself ample time to wake up and try drinking coffee, taking a shower, or exercising before your interview. A phone interview is one of the initial stages in obtaining a new position, and can also be one of the most important. To ultimately stand out to employers be sure you are prepared and engaged—because what was once a job opportunity, can soon be a job. Yes, having solid technical skills is important in landing a job, but maybe not as important as you might think. In fact, in a survey of more than 2,600 hiring managers and human resource professionals, 71% stated they valued emotional intelligence in an employee over IQ. What’s more, 75% said they were more likely to promote a highly emotionally intelligent worker; and 59% claimed they’d pass up a candidate with a high IQ but low emotional intelligence. Emotional intelligence is going to be even more relevant for job hunting in the future too, the Future of Jobs Report from The World Economic Forum ranked emotional intelligence in the top 10 job skills required for 2020. Since more companies are paying attention to hiring people with high emotional intelligence, if you’re looking for a job it’s an important skill to demonstrate in your interview. Instead of focusing on a response to the question being asked, give all your attention on the question itself. Don’t give in to the urge that you have to answer the question immediately. Interviewers are looking for a thoughtful response, instead of an immediate one that indicates that you are giving them an answer that you have rehearsed. Repeat the question back in your own words to make sure that you understand it the way that it was intended. If you are not sure if you are answering the question ask the person asking it. Many interviewees, due to nervousness, can came come across as wooden and tightly controlled. 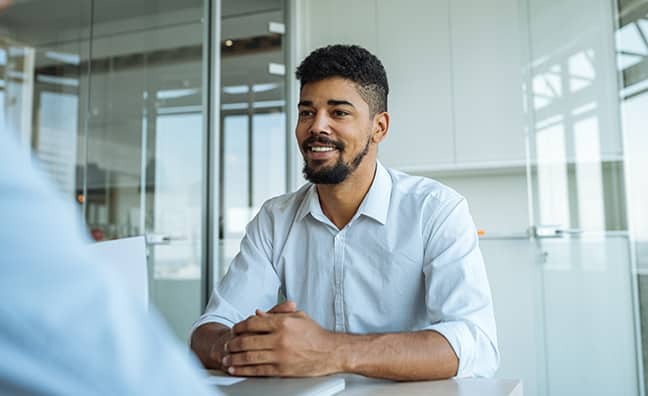 It’s not only okay to show some emotion, but the right emotions will form a connection between the interviewer and you. Smiling, as long as it doesn’t appear forced or inauthentic, is always good. Showing enthusiasm and some excitement is also good if it is real. The caveat is not to force any emotions. If the interviewers get a whiff that you are coming across as someone other than yourself, it will cause them to mistrust you and decrease your chances of getting the job. Take a cue from professional athletes when they are interviewed after a win or achievement. They always credit their team mates, their team, rather than taking personal accolades. When asked about a project that you are proud of, or that was successful, be sure to share credit with the team, unit, and others who were involved in the project. Make it clear that you are proud to be a member of the group that was involved in the success. This gives more credibility to you being a team player, than if you simply claim that you are, which everyone does. The typical advice for answering a question about your weakness is to frame it as something that is actually a strength. For example, claiming to be a perfectionist, or becoming too involved in your job, which can be seem as strengths by an employer. These answers do not cut it any more, as interviewers are looking for something more substantial. When disclosing a weakness be sure to indicate what you are actively doing to work on it and give examples of making progress. Interviewers know that we all have weaknesses and suspect that we may try to hide those in the interview. As long as your weaknesses do not raise any red flags, being honest, open and genuine will help gain their trust and respect. For the question about your strengths, rather than only focusing on your qualifications or technical ability, talk about your ability to work well with others in a teamwork setting. Your ability to adapt to change or setbacks and work well with coworkers and customers is important to bring up. Instead of simply mentioning these things, be prepared to come up with examples of when you had to use those skills. Perhaps there was conflict within your unit or you had to deal with an irate customer. Talk about how you used your soft skills to effectively deal with these situations. 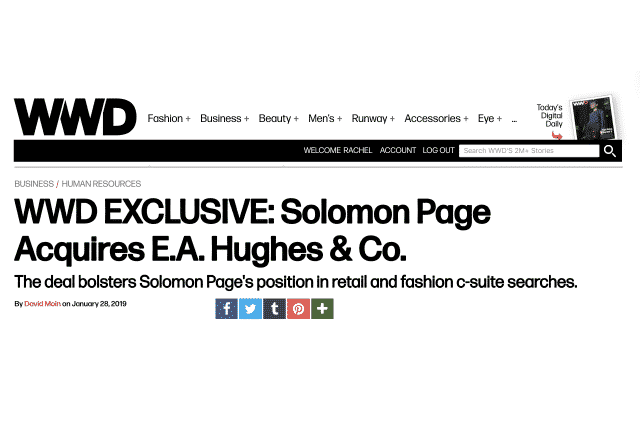 You can read the rest of this article on Fast Company. 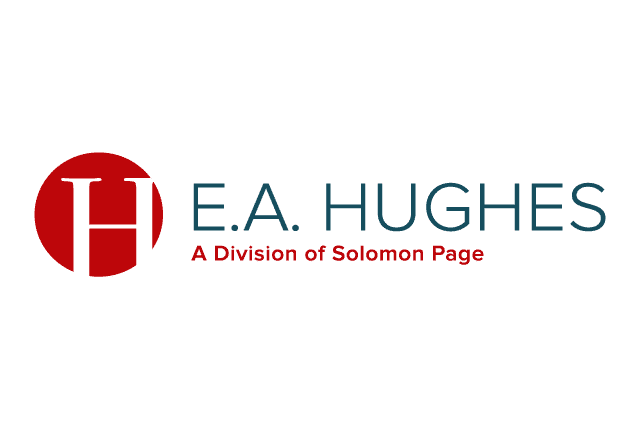 Solomon Page Recognized as One of the Largest Staffing Firms in the U.S.
Solomon Page has been recognized as one of the Largest Staffing Firms in the U.S. by Staffing Industry Analysts for the fifth consecutive year. Ranked by revenue, the report covers firms that generated at least $100 million in US staffing revenue in 2017. This is SIA’s 23rd annual report on the largest US staffing firms. “Due in part to the favorable economic environment over the past year, this year’s report highlights the degree to which many large staffing firms continue to grow via both organic initiatives and strategic acquisitions,” said Timothy Landhuis, Director of Research at SIA. You can read SIA’s press release and review the full list here. Some of your best accomplishments and achievements may not be impressive to the hiring manager if they have no relation to the job you’re applying for. To be most effective in rebranding yourself professionally, select the parts of your experience that align most closely with your target role. To make your application in this new field stronger, highlight these experiences in your LinkedIn profile. If hiring managers are reviewing your resume and then jump over to LinkedIn and see a whole different type of experience highlighted, they may be confused and cause them to put aside your resume. 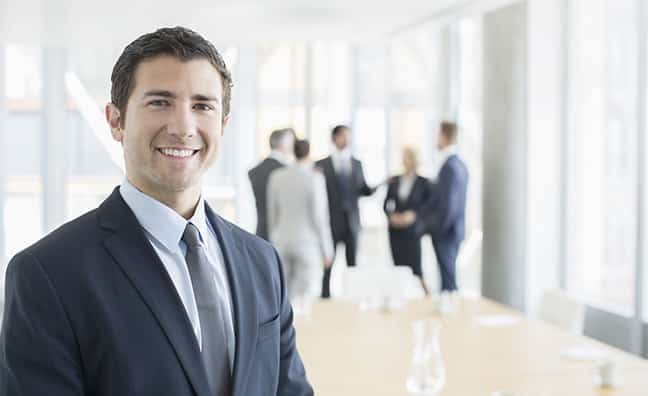 Rebranding your professional experience may mean dropping what you think are some of your best accomplishments, but by focusing on “fit” first, you will have a better chance of a recruiter recognizing you as a potential candidate for the position. “Every hiring manager wants to know why this job at this company at this time,” says Graham. Your answer to this question will be especially important if you’re a career switcher. The Top 10 Jobs That Are Disappearing in the U.S.
With the rise of robots and AI, as well as ongoing economic changes from globalization, jobs from data entry to manufacturing are under threat in the US. These are the top 10 jobs that could be on their way out in the US, based on the Bureau of Labor Statistics’ projections for the percent decline in the number of people in these occupations between 2016 and 2026, along with descriptions of the jobs from the Department of Labor’s O*NET careers database. You can read the rest of this article on Business Insider, and review their entire list of the top 41 jobs that are projected to decline in the US. They monitor locomotive instruments and watch for dragging equipment, obstacles on rights-of-way, and train signals during run. They patrol assigned areas to issue tickets to overtime parking violators and illegally parked vehicles. They use computers, word processors, or typewriters to type letters, forms, reports, or other material. Computer operators monitor and control electronic computer and peripheral electronic data processing equipment. They provide information to telephone customers by accessing alphabetical, geographical, or other directories. Corporate culture is a concept at the forefront of the employment marketplace—professionals want to feel valued as individuals, not just for their professional contributions. In order to ensure a fulfilled and productive workforce, employers should build a strong culture to enhance employee morale; this translates to defining the organization’s mission and core values, as well as creating a sense of community amongst employees through professional and personal development. Our 2018 Market Insights Report shows the impact culture has on professionals from the moment they consider a position through the lifecycle of employment. 1. The Offer: Our study shows that following compensation, corporate culture and work-life balance are the most important factors to consider in a job offer. And while respondents agree that salary is the most significant determinant in accepting an offer, nearly half (40%) of jobseekers would take a position that did not meet their financial expectations but with a company that promotes culture and professional development. 2. Engagement: In this candidate-driven market—the U.S. unemployment rate is below 4%, the lowest in 18 years—hiring quality professionals is only the beginning. In addition to attracting talent, companies must keep their workforce engaged. Our study shows that while people value the financial and tangible aspects of employment—compensation, insurance, 401(k)—they equally value professional growth and fulfillment. and of the people who didn’t fit in, only 33% were happy in their roles. 4. Retention: As challenging as it is to attract talented professionals, retention is equally as essential. 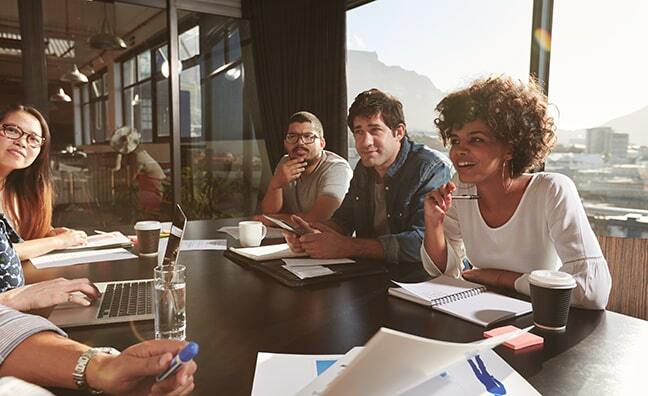 In today’s competitive marketplace companies must invest in retaining top talent, as turnover is not only costly but impacts morale and employee engagement. Culture is a key factor in employee retention—of the people we surveyed who were planning a job change within the next year, only half (50%) noted a positive company culture, compared to the professionals who weren’t planning a job change, of which 90% reported alignment with company culture. 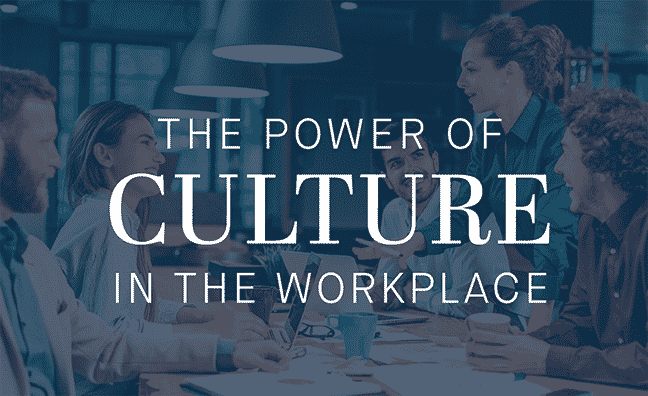 Our study concludes that positive company culture vastly benefits both employers and employees—your external brand is only as strong as your internal culture. In order to perform well employees need to feel appreciated, engaged, and aligned with their company’s mission and core values. It’s crucial for companies to build and enhance culture for the well-being and productivity of their workforce, as clients will never love a company until the employees love it first. Ultimately, business improves along with employee morale: low turnover, as well as increased motivation, translates to positive results. Stay tuned for more insights where we will reveal steps employers can take to successfully implement a positive company culture and productive work environment. You would think some of the more sophisticated job titles would realize the biggest increases in wages, but according to Glassdoor’s latest ranking of jobs showing the fastest wage gains over the past year, it is job positions in lower-skill, lower-paying fields that are seeing the most growth. As you can see, the wage growth for lower-paying positions like cashier and delivery driver saw very healthy increases. Financial advisor managed to stay in the top spot as those positions require a lot of communication and people skills (which is harder to automate), according to the report. The decrease in pay for professors shows the financially unfortunate state of higher education institutions in this country. You can read the rest of the article here on Ladders.